Apple is planning to open a new retail location in New South Wales, Australia on Saturday, July 25 at 10:00 a.m. local time, according to the company's list of retail stores. The store is located at the Westfield Miranda shopping centre in Miranda, a suburb of Sydney. It is not clear where the Apple Store will be located within the mall, but the development spans four stories and has more than 400 retail stores. The Miranda Apple Store will be the ninth store located in New South Wales, joining the existing Bondi, Broadway, Castle Towers, Charlestown, Chatswood Chase, Hornsby, Penrith, and Sydney retail stores. Counting the new Miranda store, Apple now has 22 stores located in Australia. 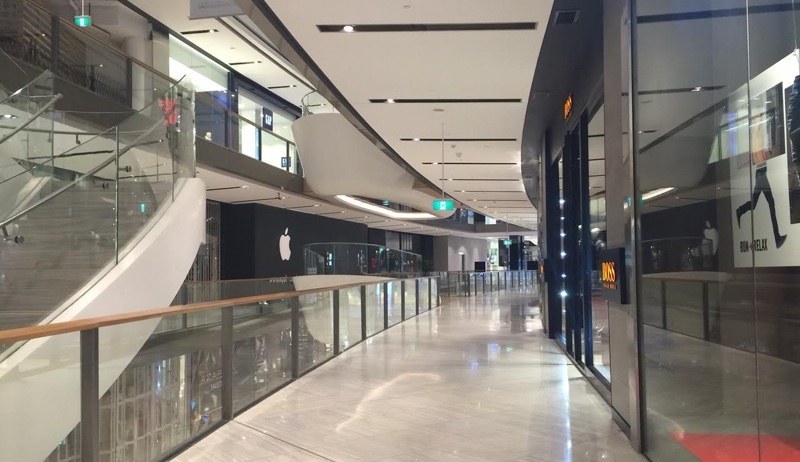 Update: MacRumors reader Adam has shared a photo of the new Apple Store opening at Westfield Miranda. For a split second I thought they meant South Wales South Wales. As in, South Wales UK. Yay! This means I don't have to go all the way into the city to go to an apple sore now :) it's right around the corner! Yes. Yay for The Shire.